As new channels and new customer behaviours continue to transform Hong Kong’s commercial environment, the importance of market research agencies to help clients understand the changing marketplace has never been greater. In 2015, Ipsos Hong Kong rose to the challenge delivering a smashing performance to topple rival Nielsen and take out the Market Research Agency of the Year. 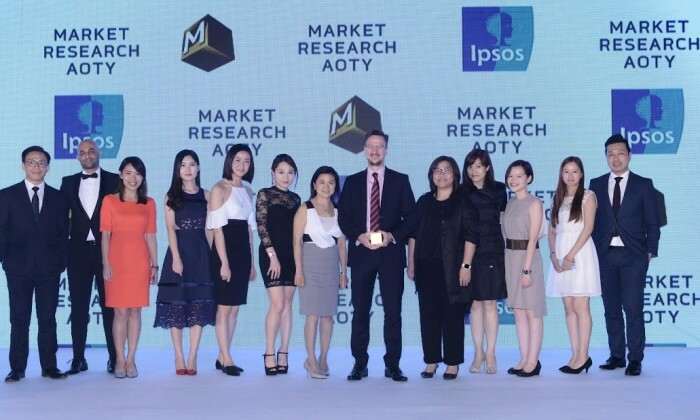 Under the direction of Ipsos Hong Kong’s managing director Mick Gordon, who came on board in 2014, the market research agency has implemented new sources of information, including electronic databases and tools enabling greater access to digital environments. The developments are central to the agency’s mission, “To fulfil clients’ greater need for accurate, relevant information which is easy to use”. Ipsos Hong Kong worked with some of the world’s biggest and most recognisable brands to achieve this, including BBC, Disneyland, GM, Google, HSBC, L’Oréal, McDonald’s, Nestlé, P&G, Pfizer, Time Warner and Twitter, to name just a few. In an outstanding year for the agency, Ipsos reported an 8% increase in annual turnover and a 70% increase in operating profit. Big client projects for Cigna, Langham Hotels, PMI, HSBC and Hakuhodo alone added nearly $HK50 million to the books in 2015. And while the agency parted company with PayPal, Coach and Ricoh it failed to dent its momentum. Ipsos became the number one research provider for IPOs in Hong Kong securing more than one-third of the volume of IPO research in 2015, a 60% increase from 2014. Ipsos also added extra firepower to its arsenal with the appointment of two new senior research experts. Arthur Tam joined as executive director of loyalty and Mike Underhill assumed the role of executive director of connect. See the full winner list of the Agency of the Year Hong Kong 2016 here.